Dance Equipment is our Business! En Pointe is a leading manufacturer and distributor of professional ballet dance equipment for ballet schools, dance studios, yoga and fitness studios across North America. Our products were designed by dancers for the use by dancers. 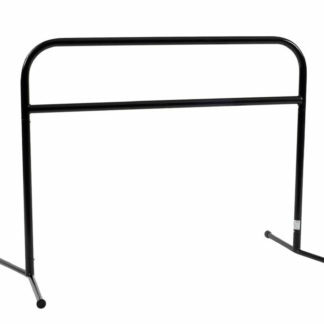 The En Pointe ballet barre incorporates strength with portability and ease of transportation. En Pointe is committed to the design, manufacture and distribution of high quality dance equipment. 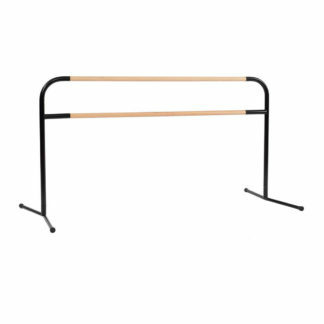 The En Pointe products include professional ballet barres, portable dance barres, wall mount barres and brackets, portable tap floor and sprung dance flooring. 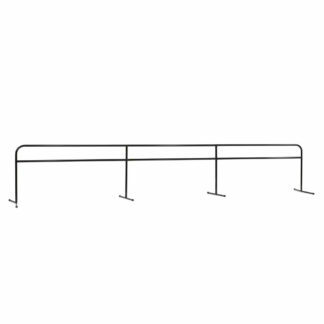 We also manufacture barres and brackets suitable for the rigorous demands of the fitness industry. En Pointe is a distributer of other dance equipment such as glassless mirrors, vinyl dance floor surfaces and staging. Our customers include the obvious ones such as ballet companies and schools, dance, yoga, fitness and Pilate studios all across North America. Our not so obvious customers include physiotherapy centers, skating clubs, and senior centers to mention a few. Let us help design your dance studio! Our Interior Designer can help assess home or dance studio layouts, to develop environments around our customer’s desires to ensure their visions come true. We can completely outfit your dancing space and provide package pricing for all your dance equipment needs. En Pointe takes great pride in our customer commitment. We ship our dance products to any destination in the United States and Canada. We have also shipped our dance equipment to Israel, Switzerland, Germany, Japan, France and many other countries. Supporting you is what we do best! We accept Purchase Orders from Universities, Colleges and Government funded facilities. To place an order, please call 1-866-491-9019 or fax your Purchase Order to 1-250-764-6220. Do you sell pointe shoes? Our PortaBarres are great for fittings and to have on display to sell to dancers. We sell to wholesalers. Phone 1-866-491-9019 and find out how to become a Distributor for En Pointe products.